Bored of carrying a debit card around every time you want to get some cash at an ATM? Lost your card a few times already and you don’t want to go through the process of acquiring a new one? 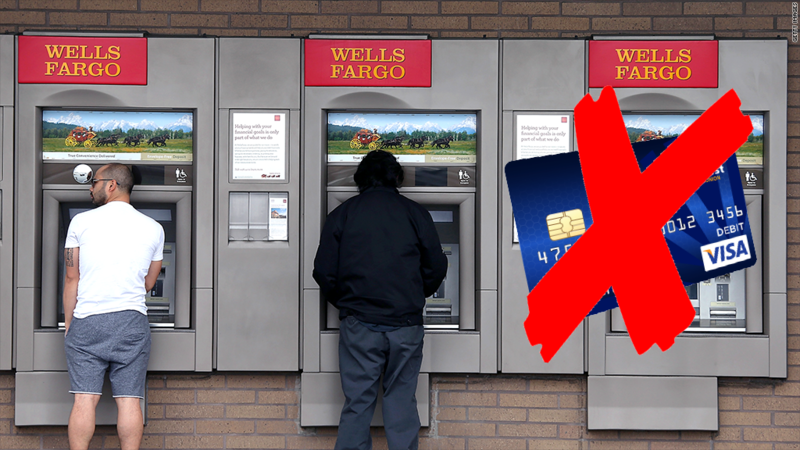 Let me introduce you to the card-free account access at Wells Fargo ATMs. All 13,000 of them in the U.S. This new technology will allow customers with smartphones to withdraw money at their ATMs without inserting a debit card. Yes, you read it correctly, all you need to get some cash at Wells Fargo ATMs is a smartphone. Read on for the details. The story goes like this: Wells Fargo has been busy trying to make up with customers after its recent fake account fiasco perpetrated by employees who opened more than two million unauthorized accounts. Because of the fiasco, customers have been avoiding opening new accounts with them and they are trying everything they can to fix their reputation with the customers. So they decided to make lives of the customers a lot easier with the cardless account access. How it works? Well, customers using the Wells Fargo app on their smartphones request an eight-digit temporary code and enter it at an ATM along with their PIN, and voila! They get the cash almost instantly. In addition to the temporary code system, known as One-Time Access Code, later this year Wells Fargo are planning on implementing the ‘tap and pay’ technology for NFC-enabled smartphones. Once the feature is live, the customers will be able to initiate a transaction by signing into one of the leading mobile wallet apps (Wells Fargo Wallet, Apple Pay or Samsung Pay) and holding their phone near an NFC-enabled ATM. If successfully authenticated, they just need to enter their card PIN and complete the transaction. “Every time a customer walks up to an ATM or into a branch, chances are they’re carrying a phone, and we believe the real power of mobile is the ability to enhance the customer experience at our ATMs and branches,” said Jonathan Velline, head of branch and ATM banking. “We’re excited to provide our customers with more ways to conveniently and securely make ATM transactions. Security certainly was a big aspect of the cardless feature and the two-step identification helps reduce the risk of fraud.“ He added that the mobile transactions will prevent scammers from skimming customers’ cards, as well. That’s all fine and dandy, but you must be wondering what does CroatiaTech have to do with all that? Well, let me explain. We are a 40+ people team there for you when it comes to software development, website development, application development, electrical engineering, digital marketing & other tech needs. So, as you can see, there are a lot of possibilities, but I will name just a few. As a start, our software development team can develop our own card-free account access smartphone app compatible with every smartphone OS currently available on the market. Now, most banks already have some kind of a mobile banking app, so our developers could offer them the card-free element as an additional option directly through their own application. Our app could use the fingerprint scanner if the phone supports the technology, or even the iris scanner on the newest smartphones. That way you can be absolutely sure nobody will be able to rob your bank account. On the other hand, there seems to be a very small number of NFC-enabled ATMs, so our electrical engineering team could offer the banks to implement the NFC technology into their existing ATMs, or even design a new ATM model with the said technology in mind. And last, but not least, our website development team could create a website for the customers to keep track of their transactions completed through the app with the ability of locking the app completely if the phone is accidentally stolen or lost. The possibilities are practically endless. In conclusion, I think this move from the Wells Fargo is a step in the right direction towards simplifying people’s daily lives and towards a bright future. The technology has a great potential and with the smartphones practically becoming a standard in life, I can see more and more technologies like this developing in the near future.